Now that April 18th has passed, it may be worth your time to look at tax-efficient retirement strategies. Why might this be critical to your future? The US National Debt is over 21 trillion and growing at rapid levels – more than 20% bigger than it would have been had Trump’s agenda not passed. The two largest budget items of the deficit are Medicare and Social Security. The massive amount of baby boomers on the verge of retirement was estimated to be 75 million beginning in 2012. Does it occur to you what this will do to Medicare and Social Security funding? The Congressional Budget Office is predicting that interest costs will quadruple in a decade or so, rising from $263 billion in 2017, to $965 billion in 2028. Interest payments would become the largest part of the federal budget which will likely hinder the government’s ability to fund programs like Medicare and Social Security. The late Milton Friedman, a free-market economist and Nobel laureate, liked to say that to spend is to tax. Today’s tax cuts, if they lead to deficits, are really just disguised future tax increases. The same is true of today’s deficit-building spending increases. They, too, are poorly disguised future tax increases. We can take proactive steps so that the tax man will not take too big of a bite from our retirement savings. For those of you employed with the federal government, you have an opportunity to contribute to the Roth TSP. This savings vehicle allows you to pay the tax on your contributions in today’s known tax rate environment but your earnings are tax-free at withdrawal as long as you meet certain IRS requirements. 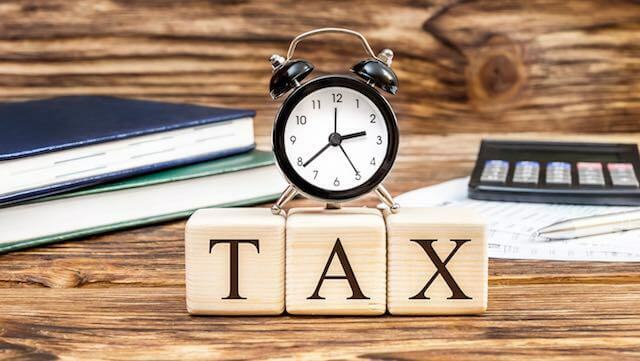 In order to be eligible for tax-free withdrawals from the Roth TSP, you must meet these guidelines: five years have passed since January 1 of the year you made your first Roth TSP contribution and you are age 59 ½ or older or disabled. Of course, the longer your earnings compound, the larger your tax-free harvest will be. For additional information on the Roth TSP, see the TSP’s Roth FAQ’s. The 2018 President Trump Tax Reform may make Roth Conversions more favorable if you are now in a lower tax bracket. The new law is the first major rewrite of the tax code in three decades, reducing personal tax rates to historically low levels. In light of the growing fiscal deficits and national debt, tax rates are only expected to rise. Therefore, clients considering converting traditional IRAs and other pre-tax retirement savings into Roth IRAs may never have a better opportunity than now to do it at this historic low tax cost. A Roth conversion done now not only locks in today’s low rates, but also eliminates all the risk of uncertainty regarding how tax rates and rules might change on pre-tax retirement savings in the future. In doing so, it makes planning with Roth IRAs much more reliable to use when working to meet your clients’ family goals, dreams, and objectives. Copyright © 2018, Smart Subscriptions, LLC. Reprinted with permission. It is highly recommended that you speak with a tax professional prior to doing a Roth conversion or a series of Roth conversions to find out how this will affect your federal and state taxes. Certain types of permanent life insurance can also address taxes by utilizing Section 7702 of the US Tax code. The primary protection in 7702 is that the death benefit of a life insurance policy is distributed tax-free to your beneficiaries, but also certain types of policies can provide for growth potential, and the ability to access some of the value of the policy, without paying taxes, because you’re borrowing against the death benefit. While many of us feel that we pay too much in tax, we are actually at historically low tax brackets compared with other times in history. In 1944, the top rate peaked at 94 percent on taxable income over $200,000 ($2.5 million in today’s dollars). During the 1950’s, 1960’s and 1970’s the top tax rate never dipped below 70 percent. Investment advisory services offered through Global Financial Private Capital, an SEC-Registered Investment Adviser (“GFPC”). SEC registration does not imply a certain level of skill or training. Securities offered through GF Investment Services, LLC, Member FINRA/SIPC. (GFIS). Franklin Planning, GFPC and GFIS are not affiliated entities. One or more individuals at Franklin Planning are investment adviser representatives of GFPC One or more individuals at Franklin Planning are registered representatives of GFIS.